Our theme for 2019, Stronger Together in Community, follows a year of tremendous destruction in the Santa Barbara area. Coming Home 2018 had to be postponed twice, and the Thomas Fire and subsequent mudslides caused the evacuation of both Pacifica campuses multiple times, for weeks on end. Tragically, our surrounding community reeled from deaths and property losses. PGIAA launched a CareLine for first responders and the community, offering free referrals for emotional and psychological support to anyone suffering from the stress and grief. We came to know, in ever deeper ways, the life-saving importance of Community. 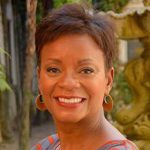 Dr. Brewster is a Core Faculty member in the Clinical Psychology Department at Pacifica Graduate Institute. 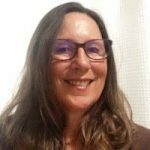 Prior, she served for five years as Adjunct Faculty working within the Depth, Archetypal and Jungian Psychology (DJA), and Depth Psychotherapy Departments (DPT), while maintaining a New York City private practice. 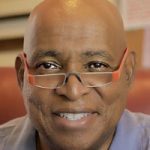 Dr. G. Kwame Scruggs has over twenty years of experience using myth in the development of urban male youth. He holds an M.A. and Ph.D. in Mythological Studies with an Emphasis in Depth Psychology from Pacifica Graduate Institute in Santa Barbara, California. Since receiving her M.A. in Jungian Psychology from Pacifica Graduate Institute, Kelly Carlin-McCall has created Women on the Verge, a year-long coaching program where accomplished women find something deeper, wider, and more meaningful in the next chapter of their lives. Janet Rich Riding on Horses' Wings: Reimagining Today's Horse for Tomorrow's World. "Wow what a wonderful afternoon. Keynote Nely Galán was amazing and shared perspectives that are often overlooked in white normative culture. Kelly Carlin was an amazing and at times funny MC. 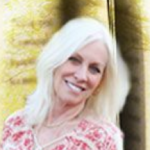 Jennifer Selig broke open the potential that lives between hope and despair in an amazing manner, and Daphne Dodson took us through a journey of the healing properties of imaginal remembering." "Being board members of PGIAA along with my wife Dr. Sherrie Allen we had the honor to participated in the school’s “Coming Home” event on Saturday. This was another event included in my month long celebration of my life. Our keynote speaker was Nely Galán, she encouraged all women of color to participate in the world economy. I introduced Dr. Jennifer Selig, one of my favorite past professors, before she spoke on “Hope and Despair” and how the two are inseparable due to the tense that must exist between the two. Despair is the prerequisite to HOPE." 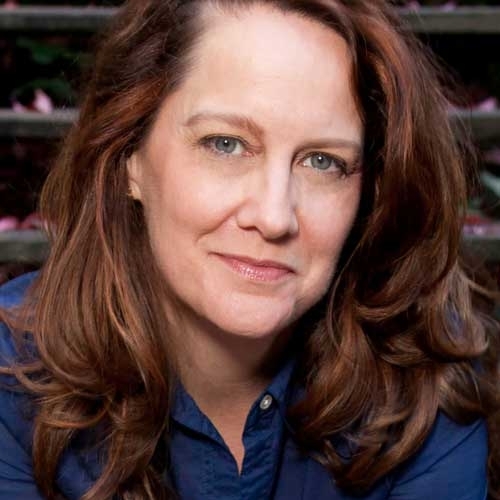 Whether she’s talking on her podcast, “Waking from the American Dream,” teaching live or online workshops about seeing/transforming the stories we unconsciously live out, or interviewing today’s top comics on her SiriusXM show, “The Kelly Carlin Show,” Kelly Carlin, M.A. pursues the big questions, and reveals unmined perspectives that opens minds and hearts.